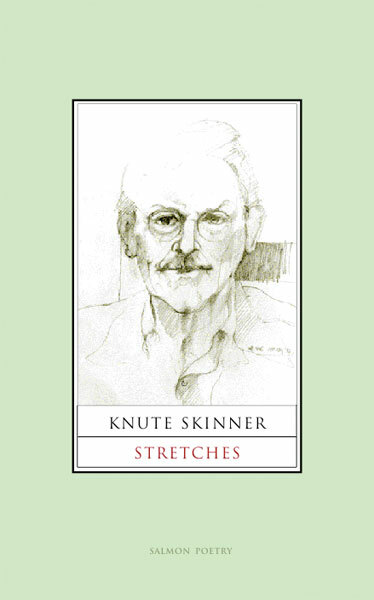 Stretches, Knute Skinner's first full-length collection in six years, contains not only the depth but also the uncommon variety his readers have come to expect of him. Tender and witty love poems coexist with brief narratives and satirical sketches. Lyrical responses to nature interact with spiritual responses to the material world. These poems, diverse in subject and tone, represent the accomplishment of a life's dedication to a poet's art and craft. Skinner's language is accessible but crackles with apt surprise. The collection stretches, and it invites the reader to stretch with it. A hush settled on the street. feet raised in arrested stride. were halted - as were all the cars. coincides with the world before. I have known Knute Skinner for nearly twenty-five years, and I think of him as a close friend even though I don't see him very often, now that he make his home full-time in Ireland. Consequently, reading the poems collected in Stretches has been a special pleasure for me. with the headlines in its mouth. In two of his prior collections from Salmon Poetry, The Bears and Other Poems (1991) and What Trudy Knows (1994), Skinner took his voice and vision in a new direction, with suggestive narratives in the voice of personae who were often disaffected or disturbed and were, consequently, also a bit disturbing. That sensibility carries over into some of these new poems as well, though it frequently plays out in third person, as in "The Gap", where a character recalls an act of voyeurism out of which he has lost his taste for fish, "remembering as he does how long he stood there, / unable to walk away, holding the trout." Some of these poems record events and observations almost journalistically, but their point of focus takes them in unexpected directions. This, too, is a familiar path for long-time readers of Skinner's poetry, but it is one that I would be sorry to see him leave behind. In Stretches, these scenes frequently involve Edna Faye Kiel, with whom Skinner is married. In the last poem of the book, "The Window Seat," Skinner says he "found Edna stretched out there, / absorbing the sun" in such a manner that he thought she looked like a cat, and he asked whether she purred. She yawned, told him, 'That's how we yawn," and turned away, regally feline: "Fetch me some mice," she added, "/ and maybe I'll purr." I won't spoil the ending, but it is pitch-perfect. Finally, this collection is a handsome book indeed. The front cover portrait, originally drawn in pencil by Noreen Walshe, captures something in Knute's expression that suggests the agility of his wit, a quality displayed in abundance through these pages. Stretches is available for purchase directly from Salmon Poetry at salmonpoetry.com. It's worth whatever stretches might be required to put it into your personal library.